Music has been part of history even before where Walkmans, CD players, Mp3 Players and iTouch are out of the picture. All walks of life listen to music and we have different genres that we prefer. Now they are portable, pocketable and wireless. Now we have more ways of choosing on what we think and feel is the best that we'll fit our lifestyle and the way we like our music. In line with this, we reviewed a unit that takes advantage of the wireless technology that is common these days. 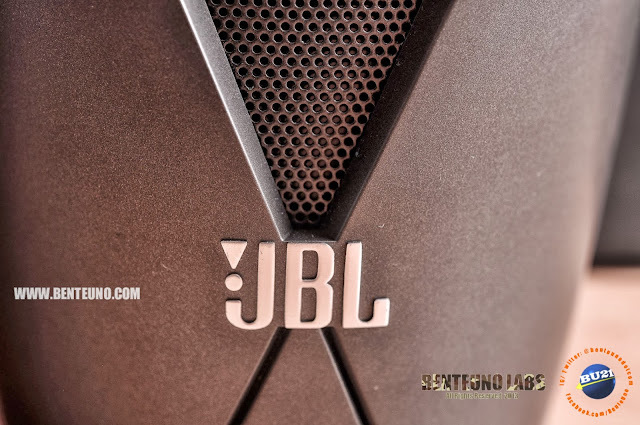 This is the 2nd-time that we'll review a multimedia sound system from JBL. The first one was the JBL On-Stage 4, click this link to view. Now, we were given a chance to test another must-have aduio equipment from the trusted brand in audio accuracy and clarity. Our review unit? The JBL Jembe Wireless Two-Piece Bluetooth Speaker System. JBL is known for producing high-end products that lasts for years and decades. They're also famous for providing that cinematic experiences to well known movie houses, arena and even recording studios around the globe. Now they've created one that fits even the small workplace that we have at our homes, especially the ones living in condos and studio-type apartments. Slipstream port technologies for that awesome bass with low distortion. They say that looks can be deceiving, and yes they are. These JBL engineered speakers are small yet packed with power and audio goodness in a small package. 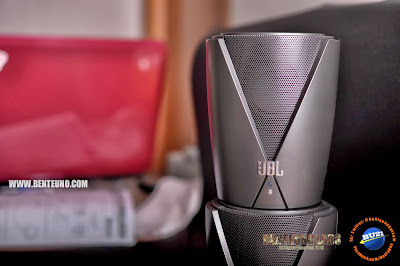 The JBL Jembe wireless speakers look like two mini-drums, ready to party anytime. The build and finish on these speakers are work of a fine craftsmanship that should last for years and should withstand the usual wear and tear. 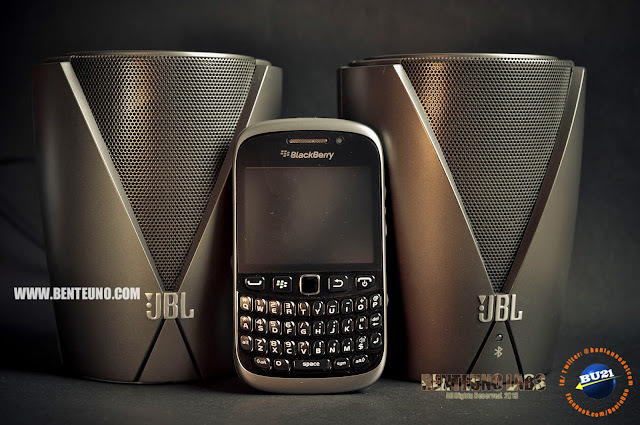 The JBL Jembe wireless speakers are definitely loaded and ready to party and show off anytime. Wireless Bluetooth easily pairs with almost any phones that support Bluetooth streaming. Once paired it should be recognized by the speaker automatically. We tried it on different mobile devices. From Blackberry Curve 9320 loaded with OS 7.1, a Huawei Android(4.1) phone and Samsung S3, where it all paired and played perfectly. We didn't experience any trouble with pairing which is a usual problem with bluetooth pairing especially if partnered with a 3rd party mobile devices. Based from our test the JBL Jembe Wireless Speakers only supports one connection at a time. You'll get a notif that it failed if you try to pair a secondary device. On a positive note, wireless Bluetooth easily pairs with almost any phones that support Bluetooth streaming. We didn't experience any issues with pairing. This is what most users and wireless afficionados are usually looking for, the ease of connectivity. Afterall that's the exact reason why you want a wireless speakers, is you want to be convenient and tangle-free. Cliche it may sound, but the more volume you go, the better the sound goodness it brings. Even on the loudest volume it keeps the bass and treble, and you'll wow these speakers that you at first thought that it won't deliver due to its size. We tried it using a 3.5mm jack to connect it wired to a LED TV and we just love the sound. 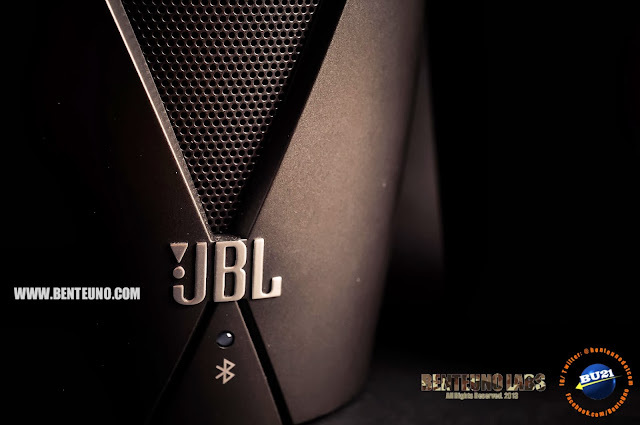 You don't need an extra sub anymore, the power is just enough for you to experience the surround sound on a small space. These pair of speakers can bring regular TV show to a more cinematic experience as you hear almost all the sound it outputs. This is the best piece for music lovers who wants their music crisp and clear. Great for small spaces or for minimalists who are simply after true-to-life sound. 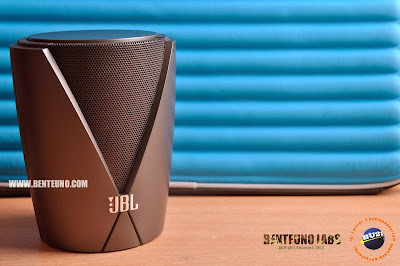 This wireless version of JBL Jembe is really worth it, as you your player is not tied to one location. Skip, forward, move back to the previous track, yes, they are all supported. If it can only support calls via BT, then it will be steal. But hey, for the price tag of less than PHP 5,000, the big features from the small package is all worth it. The original design plus the unusual volume jog on top of the left speaker is genius, make you feel like DJ-ing the whole night, minus the other knobs and buttons. 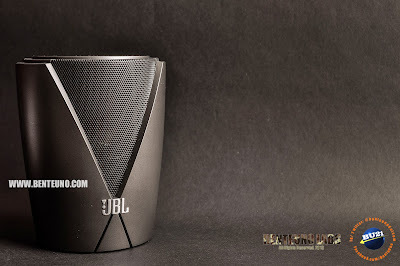 The JBL Jembe Wireless Two-Piece Bluetooth Speaker System truly remarkable! Don't forget to check more pics through our FB page: https://www.facebook.com/BenteUno. Follow!